This is the final Dance Play List for 2019. I hope there will be something for everyone on the list. As a special treat I asked the Community Centre and they are going to let us keep on dancin’ until 11:45. However, there will be performances from Simon and Maddison for which I have to allow time. April will come around before we know it!!! 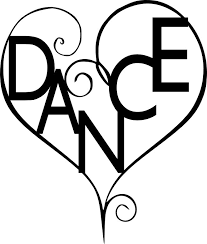 Open Dancing will start at 11:30 Instruction will begin at 12 noon and there will be open dancing in between the teaches. NOTE: For anyone who hasn’t been to one of my workshops before, I always have a set play list of dances that will be played during open dance in the afternoon workshop and then at the Evening Dance. As well as the play list, dances taught during the afternoon will be quickly reviewed during the evening dance, plus there are performances, a raffle draw, etc. It is very tricky to estimate how much time will be needed for all the dances and everything else that goes on at the event so there is a chance that DJ Adam won’t have time to play every single dance on the final list; he will try his best though.